When I came back from the UK in September, my plant of Tagetes lemmonii, which I had planted the previous spring looked particularly dried up and miserable. But I fed it and it greened up nicely. Just this last week or so it has burst into flower and is one of the prettiest plants in the garden at the moment. This is a shrubby tagetes and native to mountainous areas of Mexico and southern Arizona. It was discovered in the late 1800's by husband and wife botanists, the Lemmons. It is sometimes called the mountain tagetes. It seems to be a short day plant, so flowering is triggered by the shorter days in autumn and winter. The foliage has a strong, pungent odour which some people may not like. Flowers attract bees and butterflies. Most UK gardeners will know the name tagetes linked to dainty but similar annuals with masses of tiny yellow flowers. Tagetes is of course the botanical name for both African and French marigolds, neither of which originate from those countries but from north and south America. In some countries, marigold oil is extracted as a flavouring or for use as a food colouring. 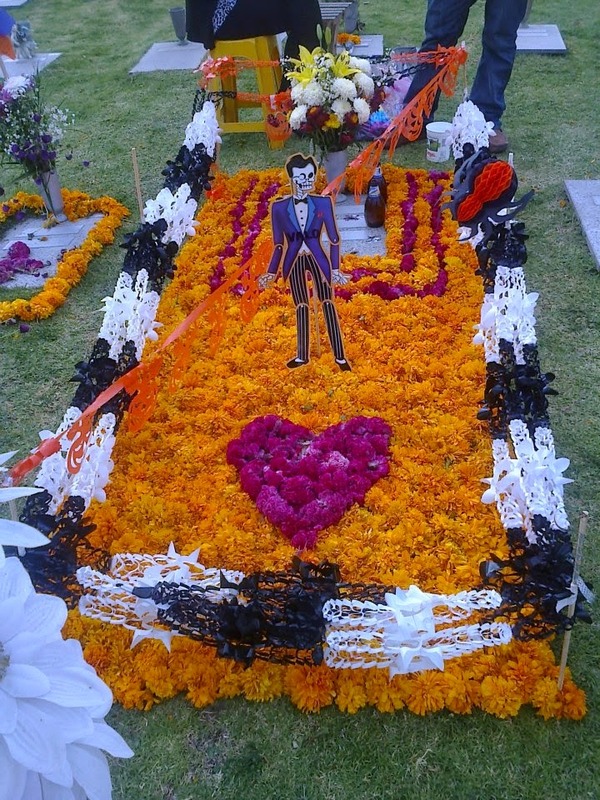 Marigolds are significant as part of the 'Day of the Dead' celebrations in Mexico and are thought to attract the souls of the dead. In India and Thailand they are often made into garlands for weddings and festivals. Are you sure marigold oil is Tagetes? Calendula is the source for ‘Marigold cream’ which seems to be used as a universal remedy over here. Tagetes lemmonii is a short day plant for flower initiation, but from initiation to flowering can take several months, so it is usually still in full flower here until July [in a polytunnel; it wouldn’t survive the winter gales in Cornwall]. 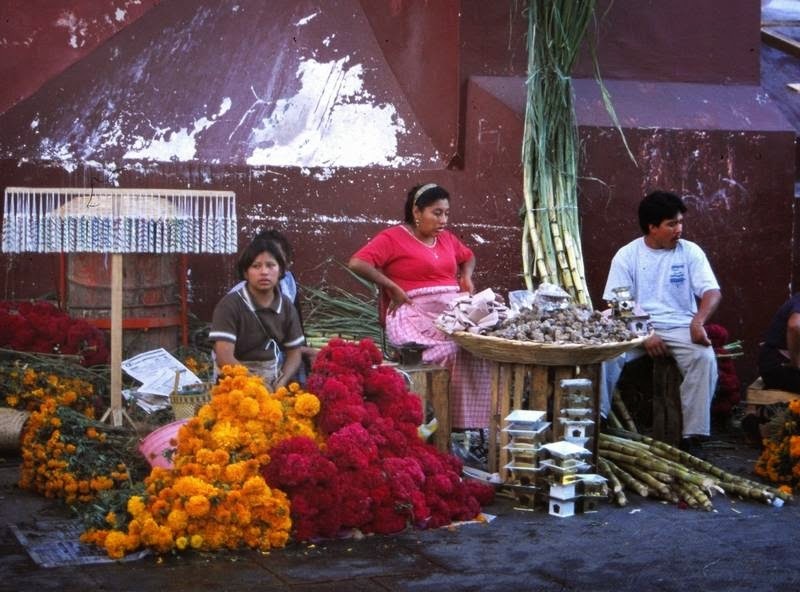 Is it right that it widely used in Mexico as a spice? And have you smelt T.nelsonii? I’m still trying to track that one down. Chad - thanks for comments - as always, I am quoting from simple internet research which suggests there are two oils available - see here - http://www.essentialoils.co.za/essential-oils/tagetes.htm. One source suggested it was used in the perfume industry which seems amazing bearing in mind how pungent it is! No idea about the spice aspect although it is only used as a food colouring in animal food in the USA . Haven't come across nelsonii!